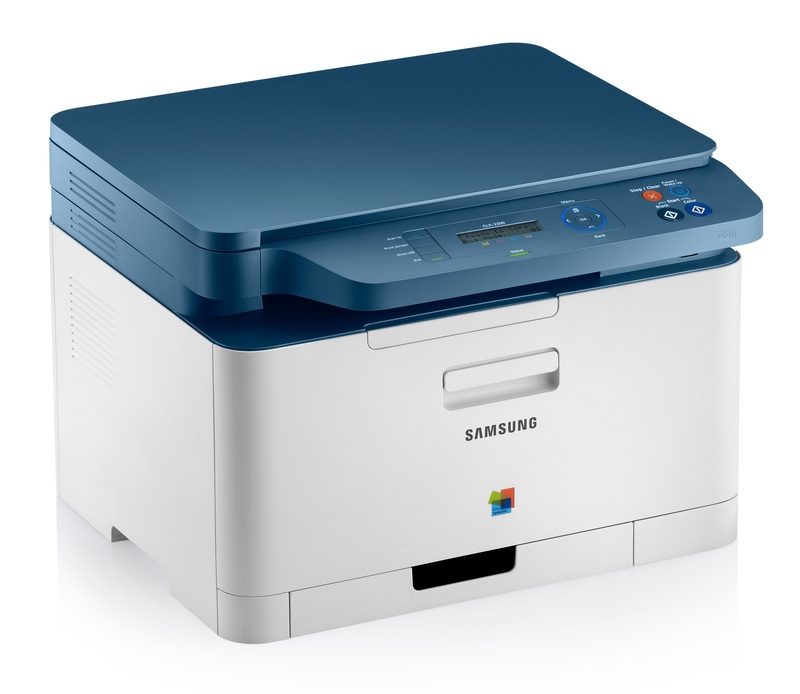 The Samsung CLX-3300 colour multifunction printer is ideal for small but busy offices. This reliable model has a monthly duty cycle of 20,000 pages and offers print, scan and copy functionality. With the Samsung CLX-3300 colour laser MFP, printed output can have a maximum resolution of 2400 x 600dpi while for scans it's 4800 x 4800dpi. Although the print speed in monochrome is decent, coloured prints take a long time to be delivered. The control panel on the Samsung CLX-3300 multifunction printer comes with a monochrome LCD display, menu buttons and a special eco button. A USB direct port is also on the front of the unit. The front cover can be easily opened for quick and convenient replacement of cartridges. At the bottom of the Samsung CLX-3300 colour laser printer is the paper tray that can handle 150 sheets. This model has 128MB of memory and runs on a 533MHz processor. For connectivity, a USB port is available. For convenience, a USB host for direct printing from thumb drives is available. The Samsung CLX3300 colour printer delivers professional text documents and finely detailed coloured images. The print speed for monochrome is 18ppm with the first page out in 14 seconds. The user-friendly Samsung CLX-3300 laser multifunction printer offers copy features like ID copy and multiple copy of up to 99 pages. The genuine Samsung CLX-3300 cartridge toners are available in a 4 colour pack which is cheaper to buy than single colours. The print speed for coloured documents is very slow at 4ppm with the first page out in 26 seconds. Although duplexing is offered, it can only be done manually. The Samsung CLX 3300 printer could also use Wi-Fi connectivity.